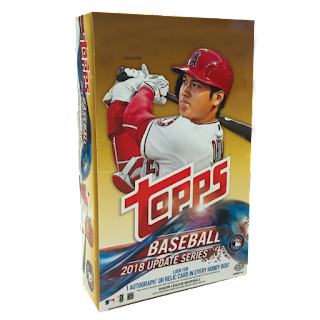 The release of 2018 Topps Update Baseball completes Topps’ annual flagship set trifecta. 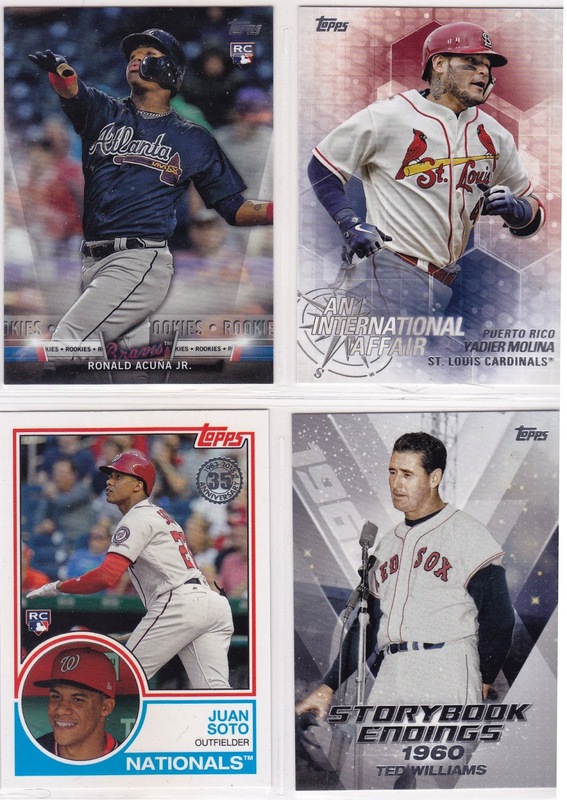 With post-season attention squared on Rookies of the Year Ronald Acuña and Shohei Ohtani, Topps doubles down on their star power with this set. This strong 300-card collection makes a robust case for Topps’ best 2018 issue for these five reasons. It is obvious after reviewing all of this year's Topps products that 2018 Topps Update contains some of Topps’ highest quality action shots. The photography rivals Topps Stadium Club, which is known for its hallmark landscapes. What a better way to celebrate Topps’ place in the family with a special nod to all of the parents out there. Limited edition parallels numbered to 50 exist in both Mother’s Day Hot Pink and Father’s Day Powder Blue. 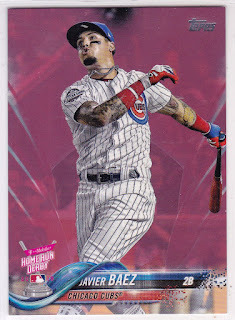 The box provided for this review sided with the matriarchs, producing this Javier Baez Home Run Derby Mother’s Day Hot Pink Parallel. This 1983 Topps 35th anniversary and Topps Salute series lead the way for 2018 Topps Update’s inserts, continuing the tradition of Topps Series 1 and 2 releases earlier this year. 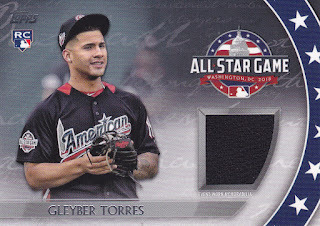 The International Affair and Storybook Endings inserts are new to this release, both providing interesting facts on foreign-born players, as well as those who had a fond farewell in their final MLB season. With 17 different signature series and 7 patch / relic variations, 2018 Topps Update has a boastful assortment of signatures and relics that will keep collectors ripping open packs in search of the next big hit. This review box yielded an attractive Gleyber Torres All-Star Stitches relic. This set has all of the top 2018 rookies together minted in the traditional Topps flagship design. Rookie cards of award winners Acuña and Ohtani, as well as Juan Soto and Gleyber Torres, populate the set. These four upstarts are featured twice, once with their rookie cards, and again on their MLB debut cards. As if these five reasons aren’t enough incentive to get on the bandwagon, an entire hobby box delivered a complete base set among the myriad of inserts and parallels. With prices hovering around $60, Topps creates both an exceptional value and experience for 2018 Topps Update Baseball.